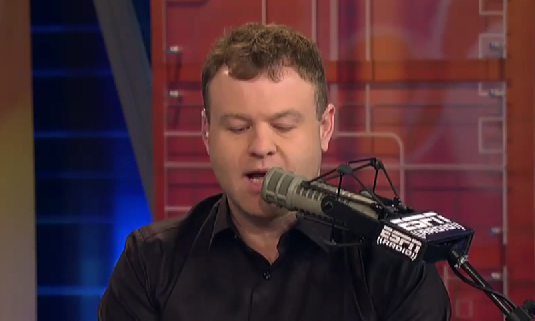 Frank Caliendo is making the ESPN rounds as he has got a special airing tomorrow night on the supposed "Worldwide Leader." After a tremendous appearance with Keith Olbermann last night, Caliendo popped on with Mike and Mike to, among other things, read LeBron James's return to Cleveland letter in the voice of the immortal Morgan Freeman. Let's go to the videotape.